Preview: Kool & the Gang @ Brighton Dome - art noise. Kool & The Gang will be performing all time favourites such as Celebration, Ladies Night, Get Down On It, Jungle Boogie and Joanna- hits that have placed them at the top of the charts and granted them honours and awards. Their bulletproof funk and tough, jazzy arrangements have also made them the most sampled band of all time, and they’ve been performing continuously for the past 45 years, longer than any R&B group in history. 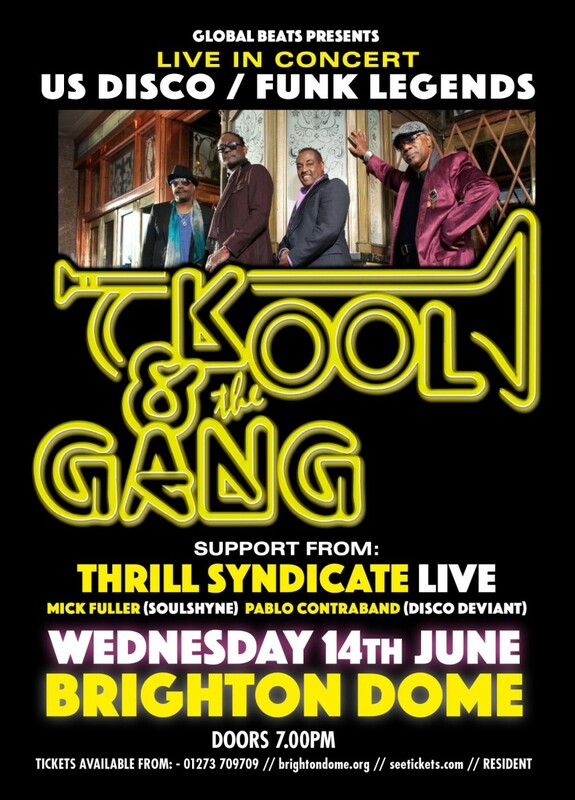 Supporting Kool & The Gang on their Dome show are the Brightonian alt funk band Thrill Syndicate, along with Mick Fuller and Pablo Contraband. Don’t miss Kool & The Gang at Brighton Dome on Wednesday, June 14th – we promise it will be funky.